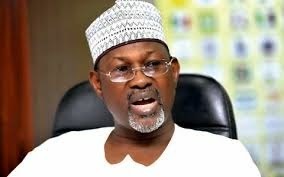 If you have been reading the Newspapers for the past week, you will definitely have come across the controversy centred around the purported removal of the INEC Chairman, Professor Attahiru Jega. While some pro-jega fans are saying it would be wrong to remove him at such crucial time which is barely weeks before the elections, others are saying heavens will not fall. The main issue apparently is does the President have the power to remove Prof Jega? Let’s have a look at the constitution for the answer to that. The Nigerian Constitution in Section 153 makes provision for the establishment of certain Federal Executive Bodies including the Independent National Electoral Commission among others. Part 1 of the Third Schedule of the Constitution further provides in Section 14(1) that INEC shall have a Chairman who shall be the Chief Electoral Commissioner. Section 154 states that the Chairman of the bodies so established shall be appointed by the President and the appointment shall be subject to confirmation by the Senate. With regard to removal, Section 157 says that the Chairman can only be removed from office by the President acting on an address supported by two-thirds majority of the Senate praying that he be removed for inability to discharge the functions of the office (whether arising from infirmity of mind or body or any other cause) or for misconduct. It is important to further note that section 158 provides that INEC shall not be subject to the direction or control of any other authority or person. I believe the provision of the constitution is clear, that Prof Jega can only be removed by President Jonathan only if he has the required two-thirds majority of the Senate. But when did that ever stop anyone, you must remember the case of Sanusi Lamido Sanusi and how he was removed.